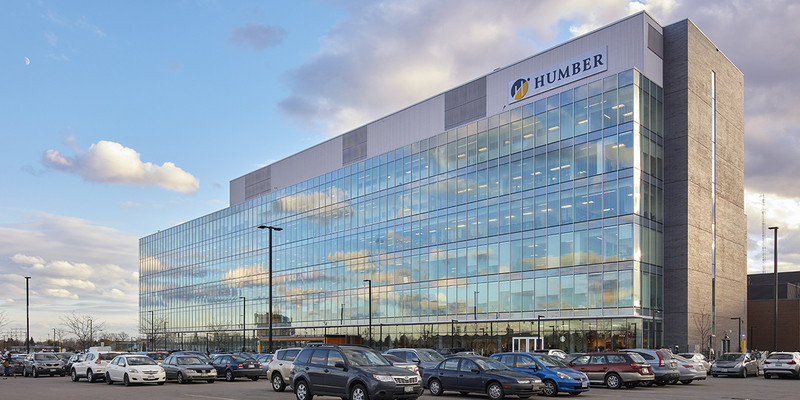 Humber College expanded its North Campus with the construction of a six-storey learning centre, providing students with a feature, centrally located study and recreation space. 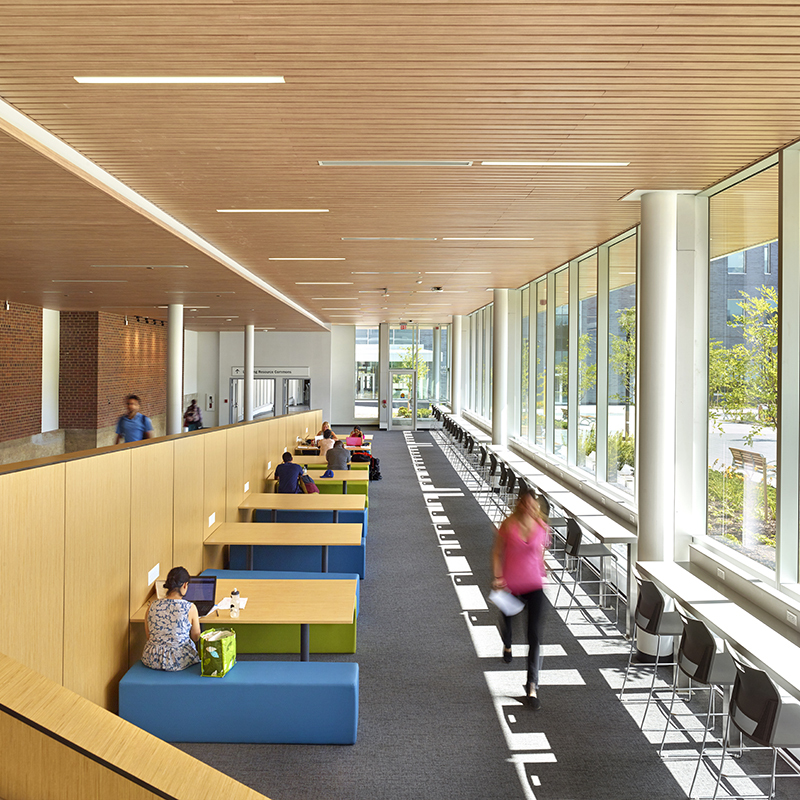 The building program includes study areas, classrooms and administration space, and dedicated storage and library space, organized around a feature atrium at its core. 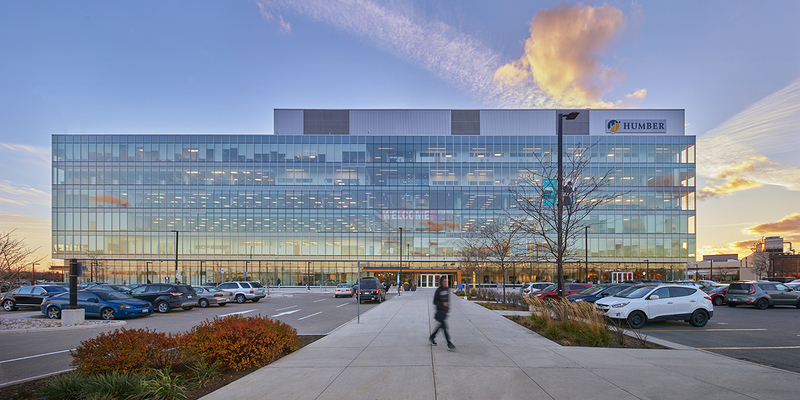 The project was undertaken using the P3 DBF process to ensure an expedited design and delivery schedule with limited impact to ongoing campus activities. 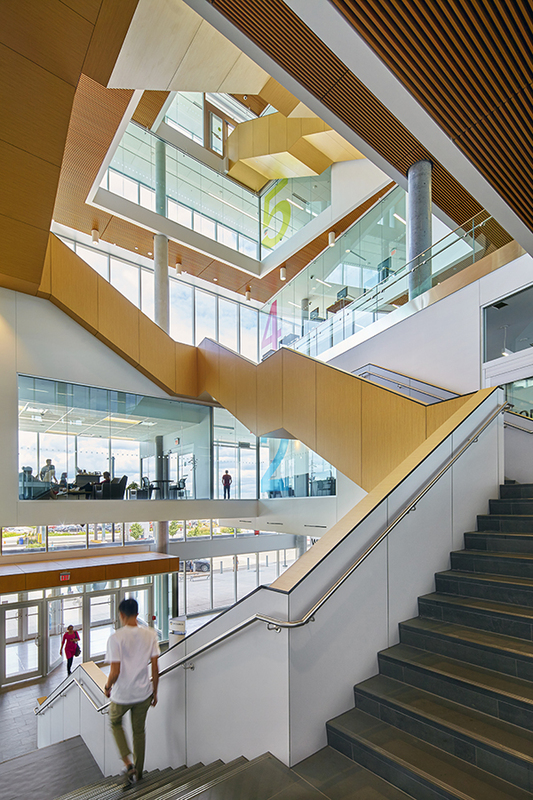 Challenge: While the use of concrete slab construction allows the maximum possible space for the building’s mechanical systems to pass uninhibited throughout all floor areas, it posed structural challenges for the desired column-free Welcome Centre at the ground floor level. 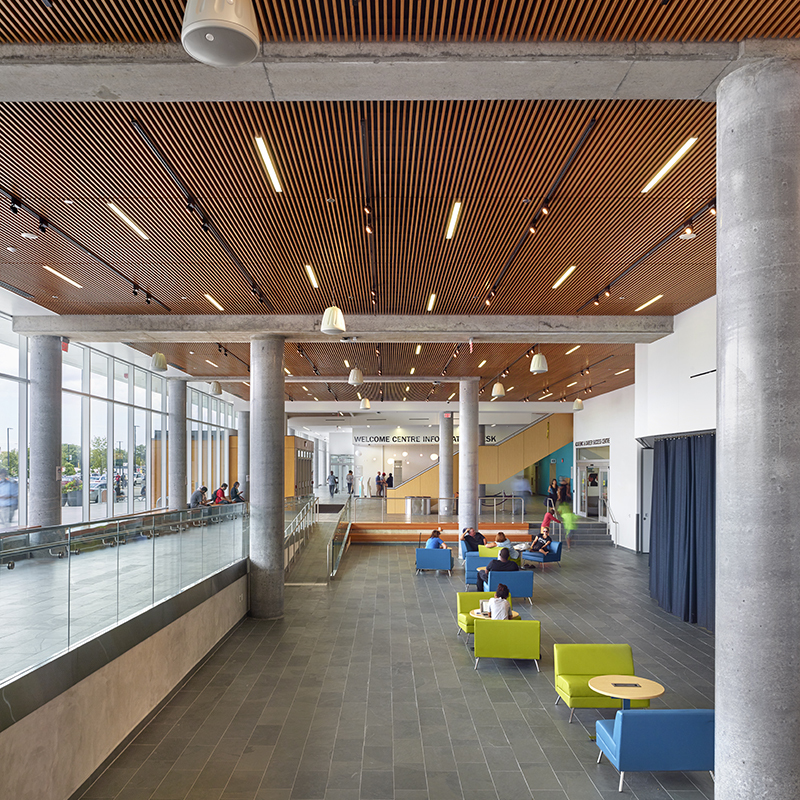 Reinforced concrete beams were too deep, creating excessive floor-to-floor heights, and hybrid concrete and steel beam solutions created additional constructability issues. Solution: A post-tensioned concrete transfer beam solution was developed. Phased post-tensioning allowed early removal of shoring and precluded the need for additional temporary foundations, opening up the ground floor for early installation of services while reducing construction schedule timeframes. The second phase post-tensioning optimized the beam design by balancing imposed building loads with post-tensioning forces.